If you, a loved one or a friend served in military uniform from World War II to present, you are eligible to participate for a FREE trip to Washington D.C. to see the memorials built to honor the sacrifices you made and to the many whom were lost protecting our right to freedom. ONLINE ELECTRONIC APPLICATIONS NOW AVAILABLE!!! Veteran applications are taking in the order they are submitted, the order of war/conflict they served and medical situations such as being terminal. 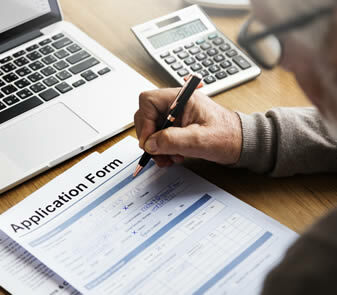 Example: A Vietnam Veteran or later could submit an application and they would be entered into our database, however as Korean, Cold War or World War II applications continue to come in, they will be placed ahead based on their war/conflict time frame. Veterans of Vietnam and later should consider applying now and getting into our database, however it could be several years before your turn arrives. We ask for your patience and understanding. Honor Flight Northeast Indiana provides four (4) flights each year. Two (2) in the spring and two (2) in the fall. We take applications all year long and add our veterans to our waiting list database. If you or your veteran should have health condition that deteriorates and would require a doctors determination of terminal or similar status, please contact our offices immediately to update your status. IF YOU PREFER A PRINTABLE PAPER APPLICATION TO BE US MAILED TO US, THOSE LINKS ARE DOWN BELOW. We have veterans as well as family members of veterans wanting to verify service dates. These are the official service dates that we use as published by the D.O.D. and other government sources. DOWNLOAD PAPER VETERAN APPLICATION - This is a PDF version that can be printed, manually filled out and mailed or scanned to us. Guardians are individuals who accompany a Veteran on their trip to Washington D.C. for the day. Typically a guardian is a family member (not a spouse) or other loved one or friend. Here you will find the application to be a guardian. If you are a veteran that does not have a guardian, we are able to provide you with a guardian. PLEASE NOTE: At this time we do not require guardian only applications. If you have a veteran to whom you will be traveling with that meets the eligibility dates, then use this application and make sure to reference the veteran whom you will be escorting. THIS IS NOT A "Volunteer to Help" APPLICATION. DOWNLOAD PAPER GUARDIAN APPLICATION - This is a PDF version that can be printed, manually filled out and mailed or scanned to us.